How many times, you googled this cute girl? 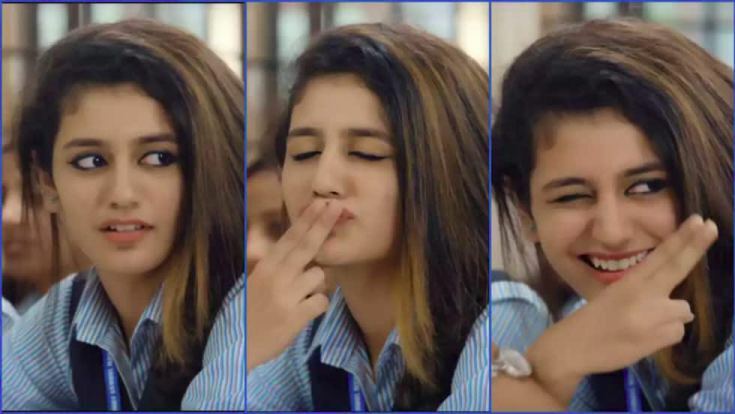 Priya Prakash Varrier has taken social media by storm, with just a wink, and she has become every guy's dream girl this Valentine's Day. I can bet that even she didn't expect that she would become so popular overnight, but such is the power of Internet. She has promoted a tidal wave of memes and that's when we realised that it's time India talks about this new queen of expressions. Let's know more about Priya Prakash, and don't miss the teaser of her move Oru Adaar Love, in the end. Keep calm and scroll ahead. This is the lyrics of the song where the girl was first spotted and the video of which has gone viral. The song is from a Malayalam film, Oru Adaar Love, which is scheduled to release on 3 May 2018. With just a small clip in the video, Priya has become a subject of various memes on Valentine's Day and seems to be the new ray of hope in every single guy's life. Priya's cuteness and presence in the video is a proof of the fact that 'actions speak louder than words'. Priya hails from Thrissur in Kerala. And as per reports, she has become the most googled person in India recently. Enna sona kyun rab ne banaya? Priya is 18 years old and is currently pursuing her degree in Bachelors of Commerce from the Roman Catholic Vimala College in Thrissur. In fact, in her debut film Oru Adaar Love as well also she is playing the role of a student. Priya loves acting (of course we know that), dancing and travelling. Priya is a trained classical dancer. Priya started her modelling career in 2017 and has already walked the ramp for various designers. According to her Instagram, she loves to listen to Arijit Singh's track Channa Mereya. In fact, she has also sung the song in one of the videos. We hope that social media is soon able to get over this new sensational actress, who will soon mark her debut. And... the wait is over! Last but not the least, as I mentioned in the beginning, watch Official Teaser of Oru Adaar Love.